Hello and Happy Tuesday! 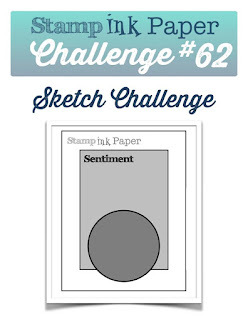 Of course since it's Tuesday it's time for another Stamp, Ink, Paper Challenge! I love this week's sketch, what do you think of it? As soon as I saw it, I knew I wanted to either have a sun or moon as the big circle. 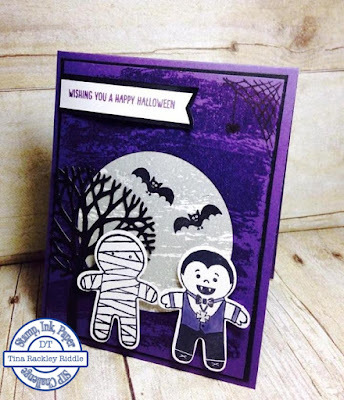 Since Halloween is coming up and I have lots of granddaughters to make cards for, why not make a huge moon and break in this awesome new Cookie Cutter Halloween Stamp Set and the coordinating Cookie Cutter Builder Punch! Below is a list of the products used! The Cookie Cutter Set is not available until September 1st unless you are a demo and order it on a pre-order!